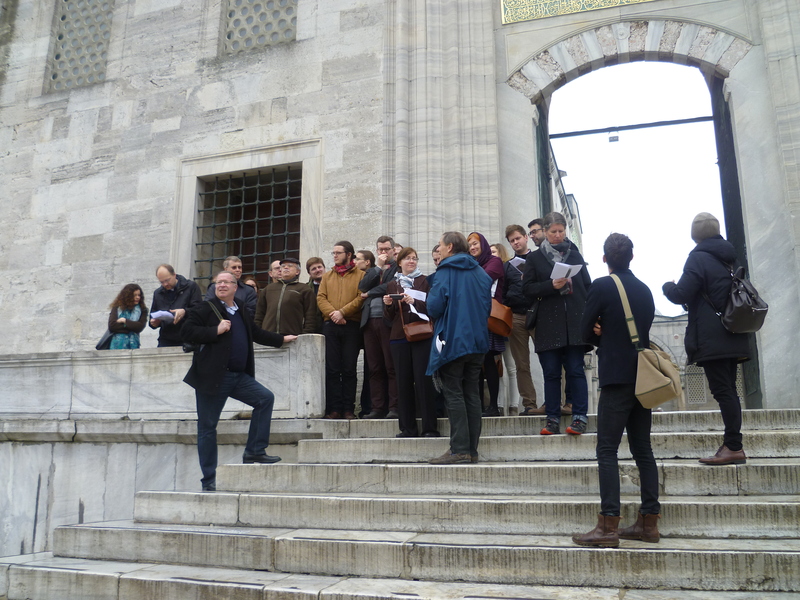 Last month, I went to the U4 Winter School in Antiquity, which took place in Istanbul this year. The U4 is a collaboration between the universities of Uppsala, Göttingen, Ghent and Groningen, which organizes several events for students and graduate students. The Winter School, which was themed ‘Transitions, transmissions and transformations’, brought together PhD students who work in antiquity from all four of these institutes to talk about their research. For four days, we listened to each other’s presentations, and got the opportunity to discuss the theme among one another. A high point was a city walk through late antique Istanbul, led by CNRS researcher Michael Featherstone; with his expertise on the Great Palace of Constantinople, he led us through the streets of Istanbul, all the while sketching the layout of the palace as it must have been: a real challenge for the imagination, but an inspiring one at that. My own lecture reflected the work I have done so far on my theoretical and historiographical framework; it was titled From Polis to Community, from Text to Inscription: translation and transmission of ‘the international’ in the Hellenistic World. It focused on the problems that I see with identifying interactions in the ancient world as ‘international’, offering a first exploration on how approaching inscriptions as media may grant a first entry into an alternative understanding. Using examples of the wall of inscriptions recording the asylia effort by Magnesia at the Maeander, and an arbitration of a conflict between Thessalian Thebes and Halos by an individual from nearby Larisa, I illustrated how inscriptions can be seen as mapping connectivity, even without engaging formally in diplomatic practices. Besides all of these academic exploits, it was actually just a lot of fun to meet a group of enthusiastic PhD students from various universities and academic cultures. I want extend special thanks the organizers from Uppsala University, Gunnel Ekroth and Ingela Nilsson, for their excellent coordination of the School, and to Jan Willem Drijvers for being a real primus inter pares to our Groningen delegation. The event offered a great opportunity for practicing presenting as well as asking questions and engaging in discussion, but especially an open, friendly and safe environment to talk about developing research. 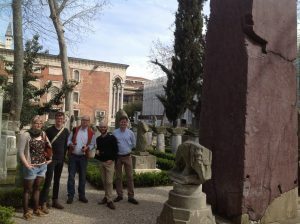 This was furthermore a great opportunity to connect some more with my own Groningen colleagues, Raf Praet and Lorenzo Focanti, as we managed to bring a social aspect to our gathering in Constantinople as well. It feels like we ourselves have experienced some sort of transition, if not an actual transformation. I look forward to the next installment.